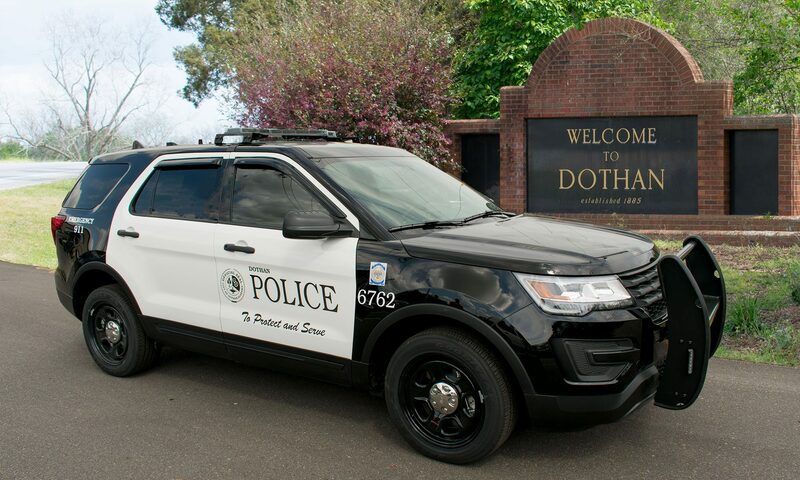 Some local residents have reported receiving telephone calls from a person stating that they are a police officer with the Dothan Police Department, although they may use any agency name that is appropriate depending on where you are located. The caller then states that you must pay a fine or face arrest. The caller then will happily process a credit card payment over the phone in the amount of the alleged fine, thereby preventing you from being arrested. Please be advised that the Dothan Police Department absolutely does not collect fines. The City of Dothan Magistrate’s Office processes case settlements, including fines. In any case, positively no one will call you and process a payment for a fine over the phone in this manner. Case settlements, including fines and court fees must be paid to the Magistrate’s Office using an approved payment method either in person, via US mail, or online. We are urging persons who receive a call from this caller to hang up immediately and do not provide any information to them. If you feel you may have fallen victim of this scam, please contact us at (334) 615-3000 or come to the lobby of the police department located at 210 North Saint Andrews Street Monday through Friday from 8 AM to 5 PM to file a police report. If you provided credit card information, please contact your financial institution to report the fraud and have a new card issued. On August 15, 2018 at approximately 7:30 p.m. Dothan Police responded to a report of an armed robbery at the Dollar General Store located in the 1000 block of W. Main Street. Employees working during the robbery reported that a black male walked into the store and demanded money from the cashier. The male was armed with a handgun and his face was covered by a green mask, he was wearing a red shirt, and black pants. The male was described as being approximately 5’7″ tall and weighing approximately 180 pounds. There were customers inside the store when the robbery occurred and they provided the same description as the employees. There were no injuries during the robbery. The suspect was unable to obtain any cash or merchandise from the business and fled on foot towards the rear of the store. Anyone who has information related to this crime is urged to contact the Dothan Police Department at 334-615-3000 or CrimeStoppers at 334-793-7000. On 08/13/2018 Investigators with the Vice Intelligence Division conducted a traffic stop in the community known as Ford Country following a two month investigation into narcotics being sold in the south side of Dothan. During the course of that traffic stop Investigators recovered synthetic marijuana from the vehicle. Investigators then executed a search warrant in the 1200 block of Judson Street as a continuation of this investigation. Investigators recovered approximately a half pound of synthetic marijuana, a firearm, and U.S. currency. Investigators have arrested and charged 39 year old Dwight Thomas, of Judson Street, with Drug Trafficking. Investigators have arrested and charged 25 year old Jessica Reynolds, of Judson Street, with Drug Trafficking. Reynolds was also arrested for a Chemical Endangerment warrant from a previous investigation. On Monday, 8-13-2018, a School Resource Officer (SRO) at Dothan High School was notified of a student on campus who was possibly in possession of a gun. The SRO immediately made contact with the 17-year-old suspect, removed him from class and conducted an investigation. The SRO determined the student was in fact armed with a handgun. Criminal Investigators were called to the scene and began conducting an investigation. It was determined the pistol was reported stolen after an automobile break in of an unlocked vehicle in Dothan. The suspect was taken to the Dothan Police Department for processing. He has been charged with one count of Certain Persons Forbidden to Possess a Pistol and three counts of Breaking and Entering a Vehicle. The investigation is still ongoing at this time. More charges are possible. Due to the suspect being a juvenile, we will not be releasing his name or any information about previous disciplinary/criminal actions. During the course of that patrol Vice Investigators made contact with an illegally parked vehicle in the 800 block of Walnut Street with occupants that were known to sell narcotics. Following the encounter with the vehicle, Investigators recovered synthetic marijuana from the occupants as well as the vehicle. All three occupants of the vehicle were taken into custody. Bonds were set at $25,000. All persons arrested are innocent until proven guilty in a court of law. The Sector Patrols will continue as part of the Dothan Police Department’s Crime Reduction Strategy, targeting high crime and drug areas in the City of Dothan. On August 7, 2018 Dothan Police Responded to Tractor Supply, located in the 3700 block of W. Main St., to reports of a robbery in progress. When officers arrived they found that the suspect was being held on the ground by an employee of the business. The suspect was taken into custody at that time. Employees reported that the Kyle Dustin Head, 26, of Zion Crossroads Virginia walked into the store and put on a pair of new Wolverine boots. Head put his old boots in the new box and attempted to walk out of the store. An employee stopped Him at the door and a struggle ensued. During the struggle Head brandished a knife, but the employee was able to wrestle him to the ground where he held him until police arrived. The employee suffered bruising to the face and only suffered minor injuries. Head was charged with Robbery 1st Degree and is being held with no bond.